You Are Here: Home » Is your blog reaching every person it possibly can? Is your blog reaching every person it possibly can? Do you know that people with disabilities account for $175 billion in discretionary spending power in the United States alone? These individuals, a significantly under-tapped market, regularly face barriers preventing them from participating fully online. Join me, increase your readership and pioneer a blogosphere for all! Much of the web is graphical. Individuals who are blind use text-to-speech screen readers, a technology requiring descriptive text for all images. Are your graphics accompanied by alternative text? Online video and audio is increasingly popular. Individuals who are deaf or hearing impaired cannot hear audio content. Flashing ads are distracting and annoying to all. These ads – that onscreen flickering – are not merely irritating to individuals with epilepsy, they can trigger seizures. These are only three of the many barriers to online activities for many people with disabilities. Bloggers can do much to increase accessibility of their blogs for their readers and customers. Blog Accessibility Mastermind is a six-lesson online course designed to introduce bloggers to web accessibility. This course teaches tips and techniques to tweak your blog into something accessible to a readership inclusive of individuals with disabilities – a whopping 18% of the population. You desire a deeper understanding of the barriers peoples with disabilities face online so you can join forces and tear down those barriers. This course is designed to get you there by making quick and easy changes and choices. I am Glenda Watson Hyatt, aka the Left Thumb Blogger, your course leader. For more than ten years I have worked with three levels of government, transit authorities and non-profit organizations to improve accessibility of their websites and better serve people with disabilities. I discovered blogging five years ago, and it changed my life forever. For the first time, I could speak with a clear, concise voice and could communicate with the world unhindered by disability. Today I build relationships and friendships with others, regardless of their time zones or abilities. But I soon realized the barriers people with disabilities encounter on websites also prevent them from participating fully in the blogosphere. I am now combining my web accessibility expertise with my passion for blogging to bring the internet to the rest of the masses. I want to share this knowledge, enhanced by my first-hand experience of living life to the max with my disability, by working with a group of bloggers interested in pioneering an accessible-to-all blogosphere. During my recent presentations on this topic at SOBCon (Chicago), BlogWorld (Las Vegas), and WordCamp Fraser Valley (Surrey), I was surprised to discover how many bloggers remain unaware of the barriers people with disabilities face while participating on blogs and elsewhere online. In my experience, once bloggers become aware of these barriers they hunger for information and tips on how to make their blogs accessible to this under-tapped market. Through this realization, Blog Accessibility Mastermind was born. You could figure this out on your own, but why waste time? My course is a reflection of my passion — removing obstacles to access from the internet. I have compiled a wealth of knowledge that will improve your blog’s accessibility. While Blog Accessibility Mastermind lessons focus on WordPress, the comment sections provide space for sharing and discussing how lessons can be implemented in other blogging platforms, such as Typepad, Movable Type and Blogger. Blog Accessibility Mastermind fosters group discussions amongst members through the comment section. Each lesson identifies a specific barrier facing people with disabilities when reading or participating on blogs, and then provides detailed step-by-step instructions to easily implement a solution. If I can create accessible content using only my left thumb, you can too! Lessons are delivered to your inbox once a week, giving you a full week to read through the coursework and implement each task, and consist of a PDF and a task. Additional resources are provided for further reading; some lessons also include captioned videos. Glenda’s teaching is clear, direct, and thorough. I was able to understand everything she offered in the classes, even when some of the instructions were more technical than I am used to. 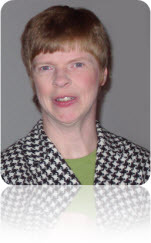 Glenda is the perfect person to motivate us all to make our websites more accessible. The best part of Glenda’s Blog Accessibility Mastermind was that I could immediately apply the material in my own blog. I didn’t have to wait to get a return from the money I spent….The Blog Accessibility Mastermind will help you gain more readers and subscribers to your blog – reader’s who stick around! Glenda’s course will also help you make instant changes to your website to improve SEO! Accessibility is not an absolute, but rather a continuum. Blog Accessibility Mastermind focuses on what you can change within the confines of the blogging platform and the blogging theme. The result is a more accessible blog; the outcome is a more diverse readership! Blog Accessibility Mastermind is now available for $114 (billed at $57/month for two months). Sign up now and get started with Lesson 1 immediately! I offer a 30-day “lots-of-questions-asked” money-back guarantee to ensure you will be satisfied with the results. If within the first 30 days you decide the course doesn’t deliver as promised, or you’re not satisfied with the content, I’ll refund your payment in full … but I’ll have questions. I’ll be seeking your feedback to improve the course. The internet – and blogging – opened up the world to me, and I am dedicated, over time, to help build an inclusive blogosphere for all.